In our dedication to continuous improvement and saving you time, we are excited to share two new features with you, plus a Pro-Tip! It’s happened to us too. You create a long list of great items that you need people to sign up for…and you realize that you stuffed desserts near the top (because you love them best), but logically, they should be near the bottom. No problem. 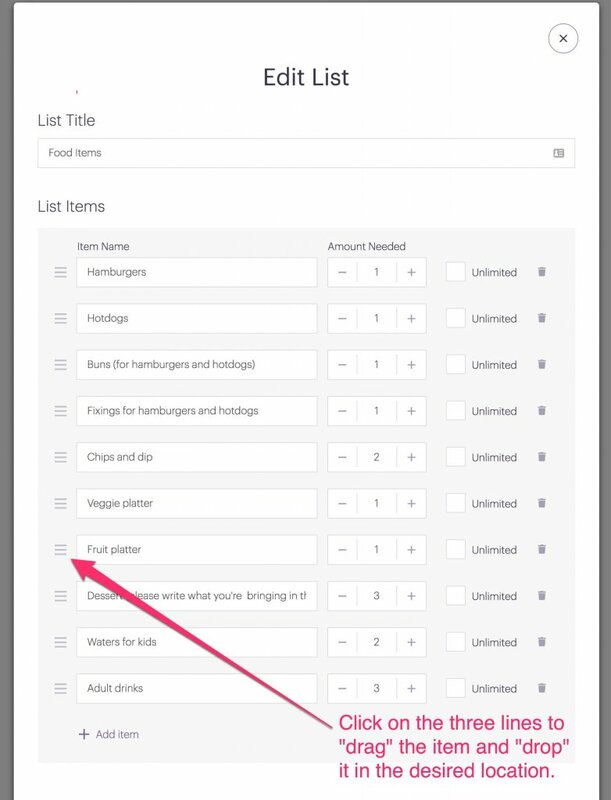 Now you can simply grab that item and drag it to where you want it. No need to re-enter all those items! Note: This feature applies only to Desktop due to limited available space on Mobile. 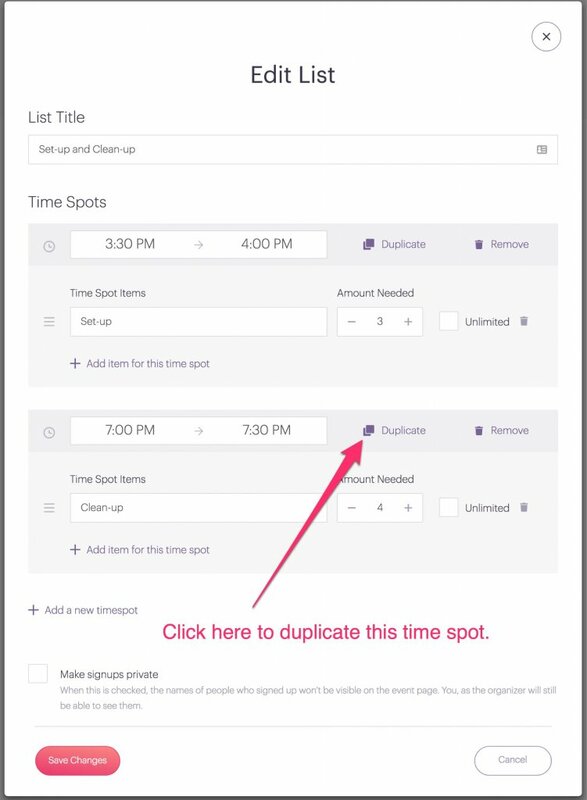 If you need to enter lots of time spots with duplicate information for your signup, you can now save some time by duplicating a time spot. And finally, we’d like to share a Pro-Tip with you. When entering times anywhere in our platform, you can quick-pick the times. Click on the number (hour or minutes) to reveal the quick-picker. Click on the desired number (time). How about you? Any Pro-Tips to share? We are all ears!